Control-Alt-Delete is a Microsoft Windows shortcut that calls Task Manager, which contains a list of launched apps, a list of executing processes, how much CPU and Memory they take. Windows users utilize this shortcut in case PC is slowing down or freezes that happen more often on the platform rather than on macOS. Even though such issues are not frequent for Mac, many users that switched from PC, try to find it. Unfortunately, there is no 100% similar stuff as Task Manager on Mac. But we will share the Control+Alt+Delete command alternatives for a Mac. Close apps using the Force Quit Applications manager. Close apps using Activity Monitor. Close apps using Memory Cleaner. Many users use Task Manager on Windows mostly to quit apps that not respond. 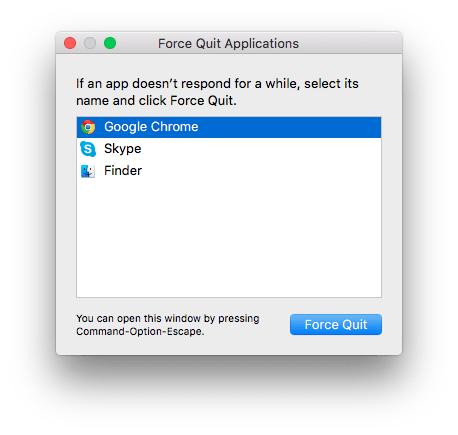 For this reason on a Mac, there is a shortcut, that calls Force Quit Applications manager. Press ⌘+ ⌥+ESC (Command+Alt(Option)+Escape) to call this window. Select any app you want to close and click the Force Quit button. This is another part of Mac Task Manager analog. You will find it in your Applications folder. Here you can see different analytics about your Mac workflows, such as CPU, Memory, Disk, Energy and Network Usage. 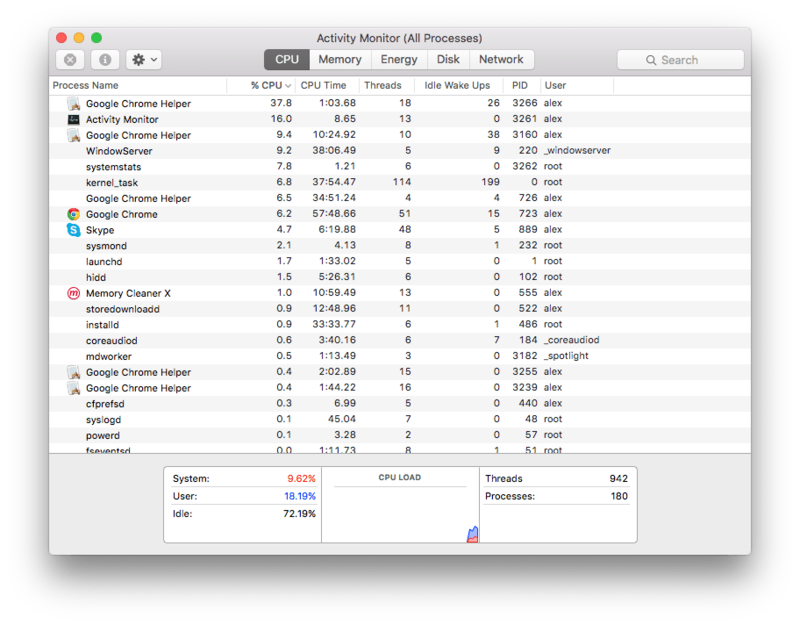 You can use Activity Monitor if you need information about your Mac work dynamics. To force close the apps, select them and click the “X” icon on the top-left corner of the window. 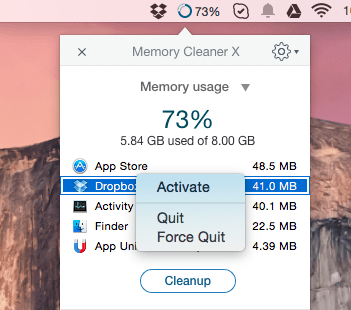 Memory Cleaner is a free application that speeds up your Mac by cleaning inactive memory. Also, it combines Force Quit Applications manager and most critical part of Activity Monitor – RAM space taken by an individual app. Memory Cleaner shows you how much RAM is using right now, how much memory every app uses and allows you to quit and force quit apps.